Hi everyone! 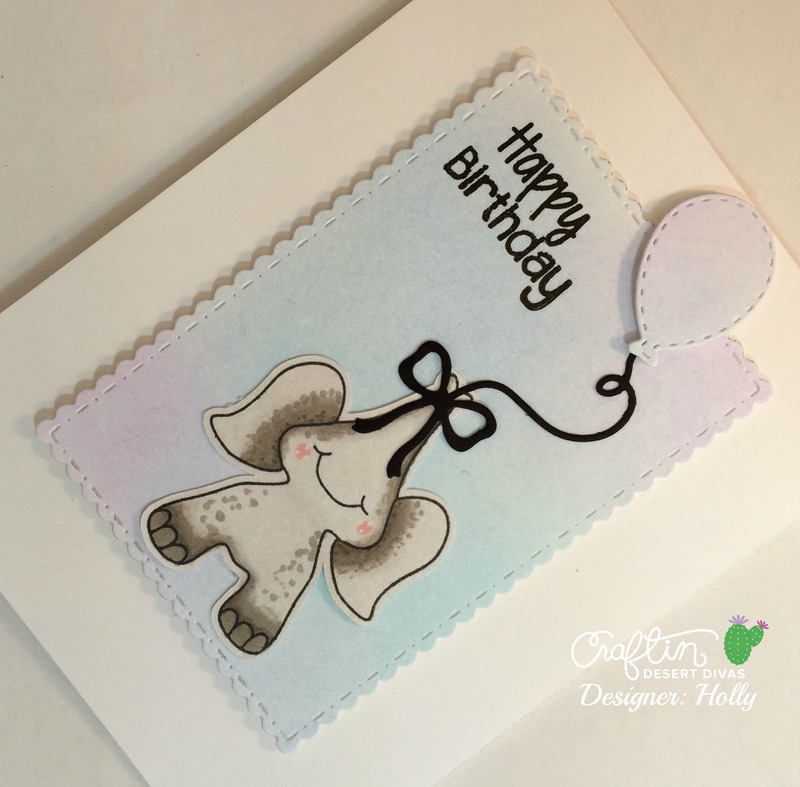 It's Holly here from Holly Waller Inspirations. Today I have a super quick and easy project to share with you. 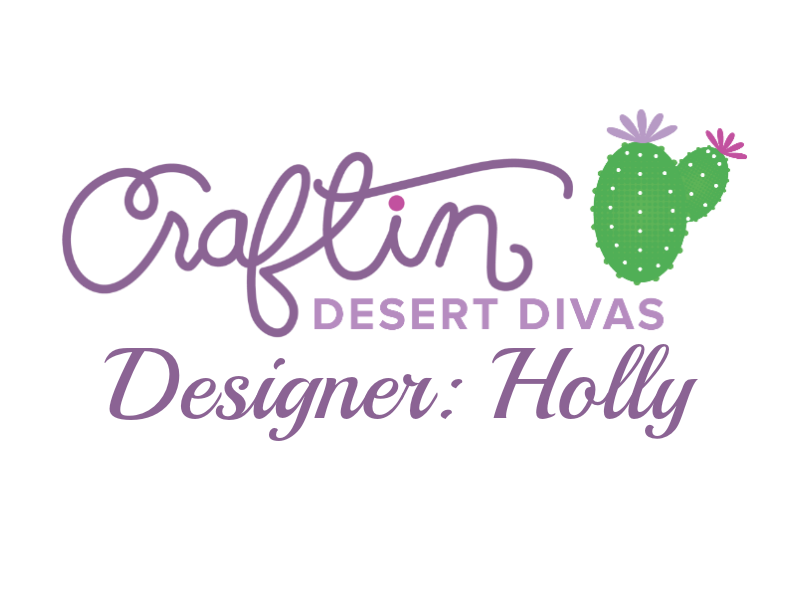 I am loving the products from Craftin Desert Divas. Today I used the Tons stamp set, Busy Bees stamp set, Chilly stamp set. I also used the dies from Party Dies and the fancy frames dies to create this card. 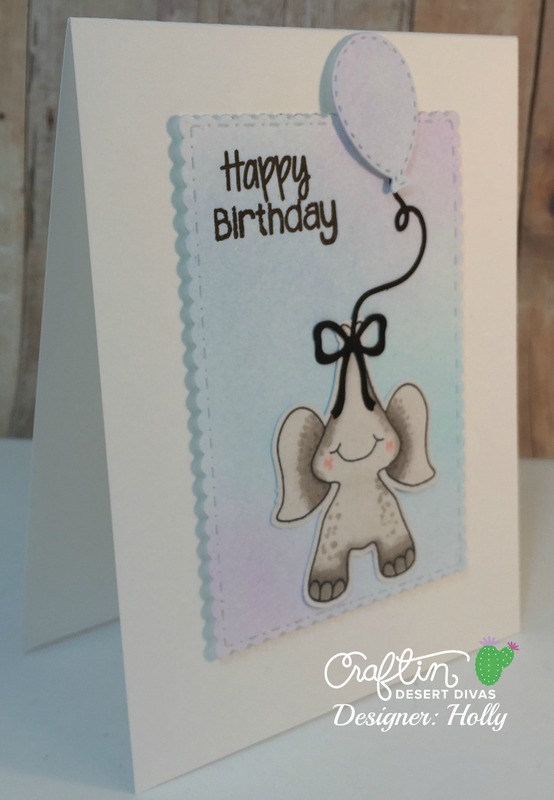 To create this card I die cut the white card stock with the Fancy frames die and colored my background and the balloon with some soft pastels. 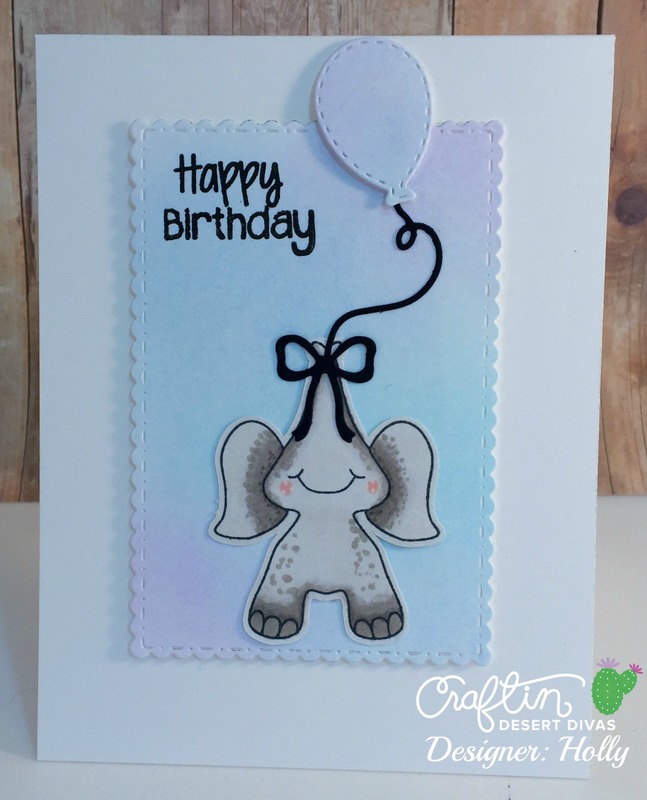 I then stamped the elephant on a extra piece of white card stock and colored it in with Copic markers. Using my Brother Scan and cut I cut out the elephant with a small white border. I also die cut the bow and balloon string with the Big Shot die cutting machine. I stamped my sentiment and adhered all of the pieces to the colored background. I then added the background to a card base. Just click the image and it will take you to the store. Thank you for visiting today and I hope that you comb back soon!